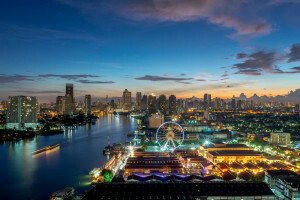 Asiatique The River Front is a relatively new newcomer to the Bangkok shopping and market scene and being a night market it makes the perfect replacement for the now closed Suan Lum Night Bazaar. 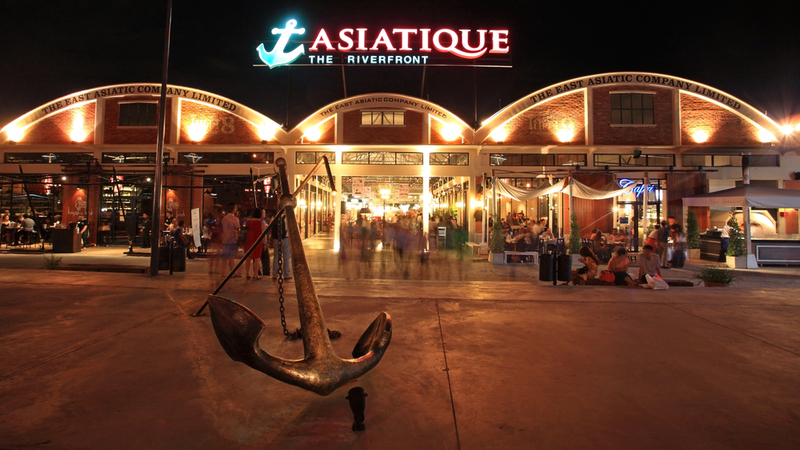 The Asiatique The Riverfront site is a redevelopment of the old riverside wharves and many of the old riverside buildings have been used and sympathetically remodelled to create this great nighttime shopping , entertainment and eating venue. There are around 1000 market stalls here lined up in organised rows. 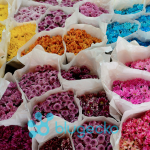 The market areas are also covered which means the shopping can still go on even if there is a heavy Bangkok downpour. 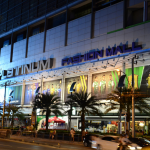 The shopping here is firmly aimed at the tourist market but is very diverse there is a good range of clothing and souvenirs as well as plenty of locally made crafts. There are a myriad of eating possibilities and they cover most budgets, there are plenty of large restaurants serving Thai as well as international food with many specialising in one type of foreign cuisine. Some of the larger plusher eating venues can be a bit pricey so it is worth checking the displayed menu before committing your self to a seat. If you are on a tighter budget then there are plenty of smaller eateries at reasonable prices knocking out plenty of Thai favourites and a few international choices as well. 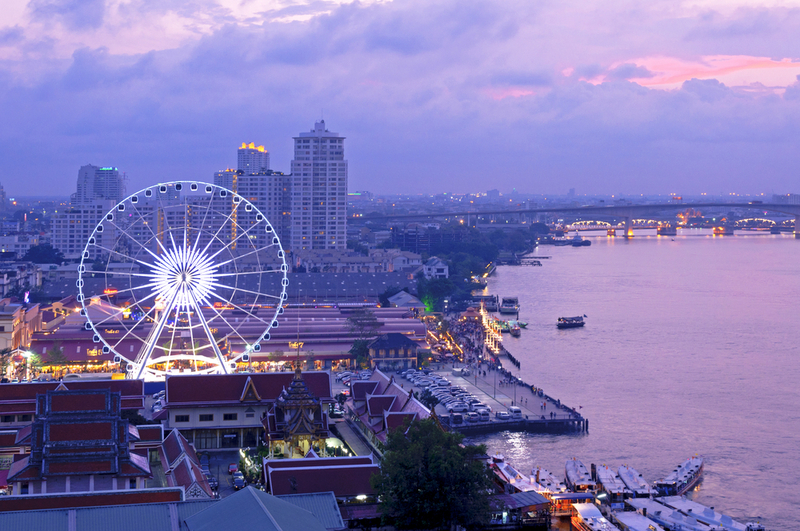 There is a large ferris wheel here a ride usually consists of 4-5 revolutions and affords some excellent night time views of the Chao Phraya River and the city of Bangkok. 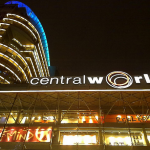 A ride on the wheel costs 300 baht per adult. 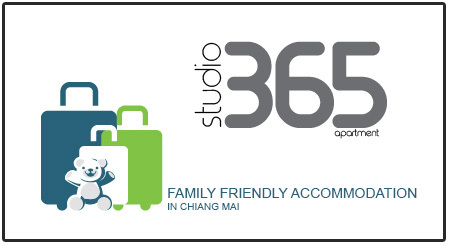 If you hotel is near the sky train route then this is a speedy and viable way to get here. 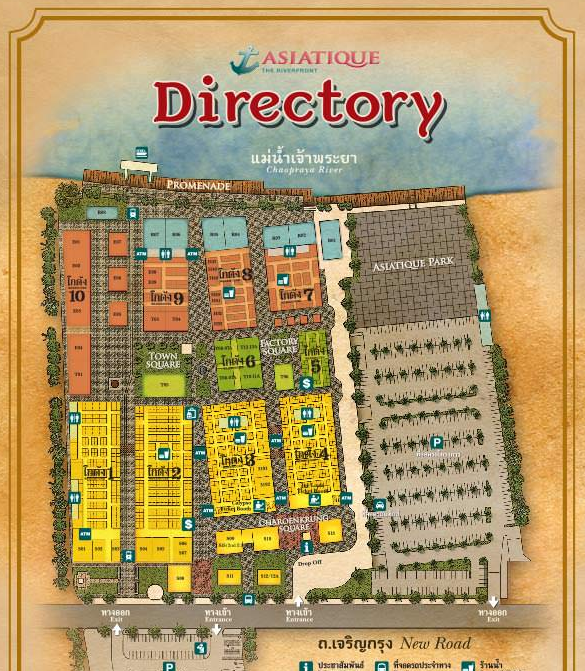 The Asiatique venue is not directly linked to the Sky train network but you can take the sky train to the Saphan Taksin BTS station. On Exiting the station walk the 100 meters or so to the river where you will see the river pier. The Asiatique venue puts on a free shuttle boat service from here. Alternatively take a taxi or tuk tuk from your hotel. If you are departing the venue by taxi then there are well organised taxis queues at the front of the venue.